We offer hands-on or demonstration classes for individuals or groups tailored to your personal desires. Use your imagination and our skills to design your own personal culinary experience. 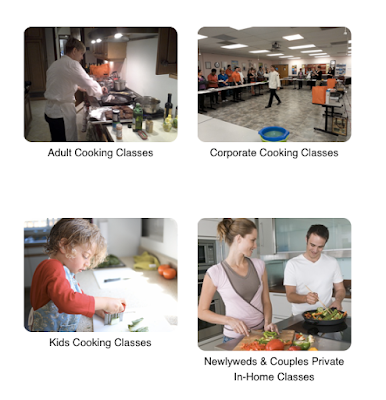 Whether you are a beginner or experienced cook, YaDa Chef offers cooking classes to serve you! YaDa Chef is ready to come to you to guide you, or a group of friends through a fun time of cooking right in your very own kitchen. Classes are tailored to your own desire, so the sky is the limit. YaDa Chef's interactive cooking classes, workshops, and sessions share secrets of the kitchen. Either teamed up or individual learning styles are offered with a class outline, recipe with instructions of the meal you will help prepare (or watch if you prefer), and a whole lot of fun and laughter. YaDa Chef will guide you and your guests through the lesson, having a great time and a fantastic edible delight at the end.